Having your braces removed and seeing your beautiful straight teeth after you have had orthodontic treatment, is a great moment for you and your child. It is important now to wear your retainers which will be instructed by your orthodontist. Once your braces have been removed stretched elastic fibres in the gum try to pull the teeth back to their original position, which is called ‘relapse’ it will take some time for these fibres to remodel and stop pulling on the teeth. We provide our patients with retainers, which will hold the teeth in position. The retainers are both comfortable and discreet. 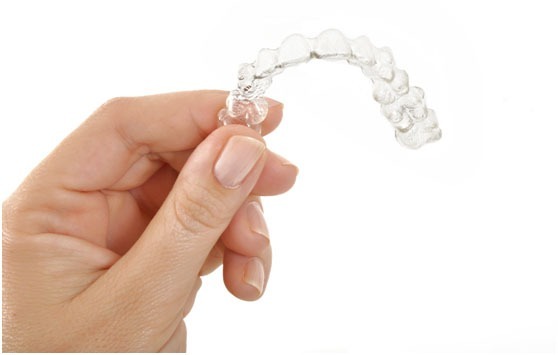 They are a thin, clear gumshield, which will fit snugly over your teeth to keep them in place. They will be custom made to fit you perfectly and in certain situations, we may also prescribe retainers that are glued to the inside surface of the front teeth as an additional retainer (Fixed retainer) particularly where there is a high risk of relapse happening. Your orthodontics will advise you how often to wear your removable retainers, please keep them in a safe place if you are not wearing them. If you would like to ask any questions on fixed retainers or you experience any problems, please get in touch with our team, who are on hand to help you.